Adant Dispo for intra-articular injections from Japan - is it worth buying or not? 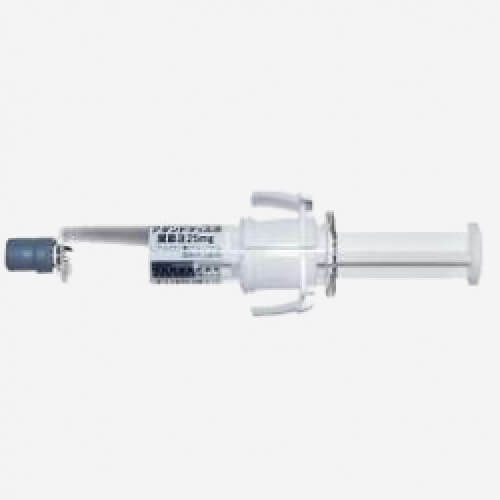 Adant Dispo – intra joint injections from Japan. Adant Dispo is intra-articular injections. Since its efficiency is very high, Adant is becoming increasingly popular in Japan and the world. The drug for knee’s joints Adant Dispo restores their function, reducing bone friction and replacing the intra-articular fluid. Adant Dispo from Japan saves from pain and sleepless nights, helps to cope with senile changes in joints. It helps to maintain the ability to move all those who either can not, or do not want to do high-risk operation on the knee joints. The special characteristics of Adant Dispo. Adant Dispo was developed in Japan. It is distinguished from analogs by two main features. First, the viscosity of the active substance. Please note this is not indicated on the package, only on the instructions. Secondly, it is a special patented method of forming a structured environment of sodium hyaluronate, the main active substance used in Adanta Dispot. This method is used to bring Adant Dispo as close as possible with joint fluids. On the one hand, it does not provoke allergic reactions of rejection at all. And, furthermore, it provides long and effective protection for your joints. Of course, Adant Dispo, developed in Japan, can be bought in some other countries. However, the price of the drug sold abroad differs significantly from the price of medicine, available in Japan. Adant Disp requires the use of at least 5 injections every week for 5 weeks twice a year. It makes no sense to use less, since the stable and long-lasting effect of the drug will not be achieved. It is also impossible to use the drug more because of the reduced effectiveness in case of overdose. And remember, only a surgeon or a specialist can use this medicine. What is better to choose - Adant Dispo or substitute products? Today you can buy injections with a larger amount of active substance that is contained in a single syringe of Adant Dispo from Japan. But, unfortunately, greater concentration does not mean greater efficiency. All excess material will be removed with blood, and for effective joint regeneration regular application is mandatory. You can not use such medicine once or twice and get sufficient effect. It is important to use prescribed doses for 5 weeks. These indicators were established during clinical trials, which lasted for many years. In addition, the excess of concentration of active components leads to a sharp increase in side effects. This dependence was clearly demonstrated in his research by Dr. Saito Shu from the Nihon University. As a result of a study of 14 thousand patients, Dr. Saito determined that with an increase in the concentration of sodium hyaluronate injections, the number of patients with pain in the knee increases by 3-10 times. (See Saito Shu. Comparison of Hialuronic Acid Chemicals. Japan Medical Journal. 2015, Vol. 4752, P. 60). Please remember this drug is effective in cases of arthritis and arthrosis up to stage 3. Starting with stage 4, the effect of the drug will be minimal. Note! We also recommend to consider the possibility of using Teva, the full analogue of Adant (Generic). What you need to know about Adant Dispo - storage and methods of use. The drug should be administered only by a surgeon or therapist with a license. The drug is intended only for intra-articular injections. The intervals between the injections can not be less than one week, unless otherwise indicated by your doctor. The drug is made in Japan and comes directly from Japan. Regular use of the device - at least 2 times a year - ensures optimal results.